Learn how Mill City Commons' vision of a more vibrant neighborhood in the Central Riverfront District has become a reality. You can also read more About Us and Our Team. In 2006, when Marcia Townley closed the door of her New York City apartment to spend the Christmas holidays with children, grandchildren and friends in Minneapolis, little did she dream that this trip would open another door that would change dramatically her life's direction. 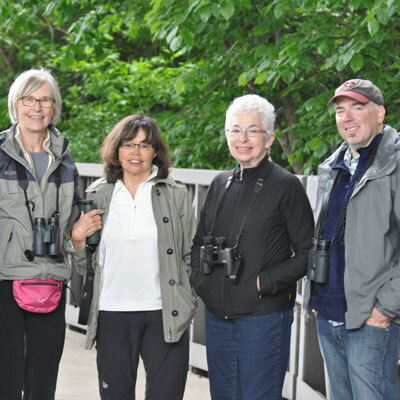 During her visit, she attended a meeting hosted by long-time Minneapolis friends Angus and Margaret Wurtele. They were intrigued by a New York Times article about a grass roots experiment in Boston called Beacon Hill Village. 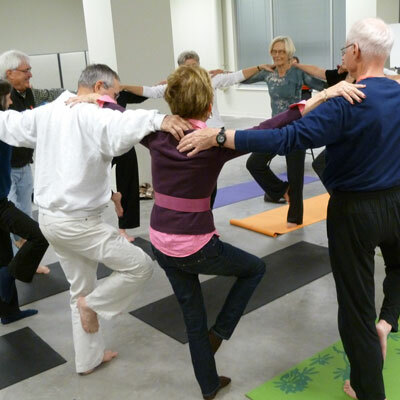 Its members, aged 52 to 98, had arranged available support services needed to stay in their own homes as an alternative to a continuing care retirement community; and, they were curious to see if there was interest in replicating the new model for aging in community here in Minneapolis. A group of about ten residents living in condos along the Mississippi River, including Marcia, responded positively to the “neighborhood village” idea. Before she knew it, Marcia was on a train from New York to Boston. She planned to attend a conference to learn more about the 400-member Beacon Hill Village and its model of neighbors helping neighbors to remain in their homes. Excited by its potential, she returned to the Twin Cities and convened a committee to begin researching the idea. At this point, the committee learned that locally-based Ecumen, one of the largest not-for-profit senior housing and services firms in Minnesota, had also been exploring the aging at home concept with the idea of moving away from the traditional brick and mortar approach to caring for seniors. Both parties agreed to continue the conversation. In 2008, the group acted on its vision to build a more vital and inter-connected neighborhood in the Minneapolis Central Riverfront District and enhance the aging journey for its residents. The Village Movement was growing across the country and the Village to Village Network was launched to provide support to those interested in forming a Village. From the start, the network was committed to the idea of flexibility in Village formats to meet the complex needs of each community. Here in Minneapolis, the next step included focus groups to further gauge interest and a demographic study to test the market. These yielded positive feedback and encouraging data. A pro forma plan was developed and nonprofit status was obtained for an organization to be called Mill City Commons. Seed funding was obtained to provide staffing to advance the embryonic organization, additional focus groups and community discussions helped refine the services to be provided and Ecumen signed on as a strategic partner. Following her move, she agreed to continue her commitment to building community along the riverfront by serving as the chair of the newly-formed Board of Directors which included: Tyrone Bujold, Konrad (Kit) Friedemann, Penny Hunt, Sabina Sten, John Crosby, Barbara Goldner, Laurie Jones, Marcia Townley, Leslie Van Duzer, Ellie Hands and Kin-Shing Lun. In 2009, an office was opened and staffed. An official launch held at the newly-opened Phoenix condominiums invited neighbors aged 55+ to take a look at all that Mill City Commons had to offer. Sixty members signed up almost immediately and step-by-step the organization began to grow. By year end 2013, the total had grown to 170. With each passing year, membership and member appreciation grows as they connect with each other and neighborhood resources to live fully engaged and vibrant lives. 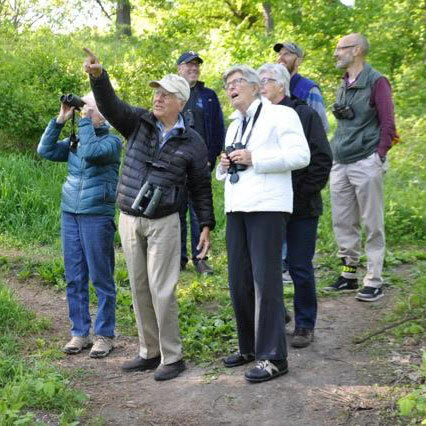 Friendly staff and a rich calendar of events make it easy to connect with other members in the community and with resources that help them confidently navigate the aging journey. buildings or townhouse developments. 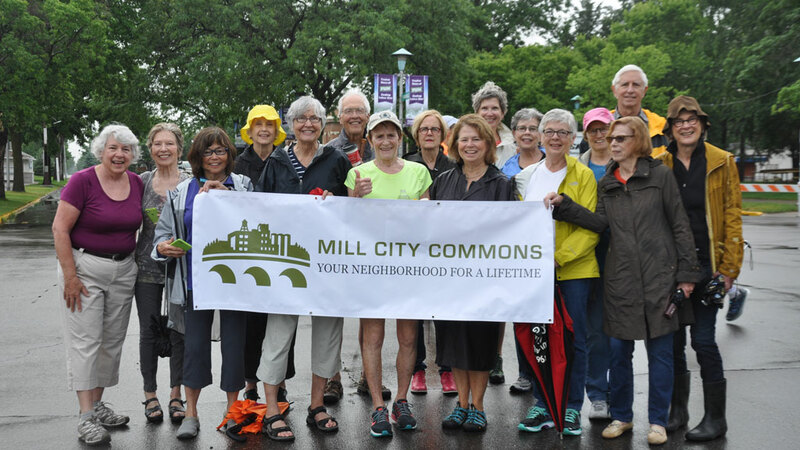 Nonetheless a strong and vital community -- Mill City Commons -- has emerged as members realize the significant benefits to living in “a village within the city”. aging journey and in its continued commitment to changing the aging experience in wonderful ways. She’s left a significant legacy contributing to the ability of residents to live in community and, even more important, to thrive there!